...YOU'RE PROBABLY DOING SOMETHING RIGHT!!! Yes, we’re weird…because normal…just isn’t working! “But you are a chosen people, a royal priesthood, a holy nation, God’s special possession, that you may declare the praises of him who called you out of darkness into his wonderful light." 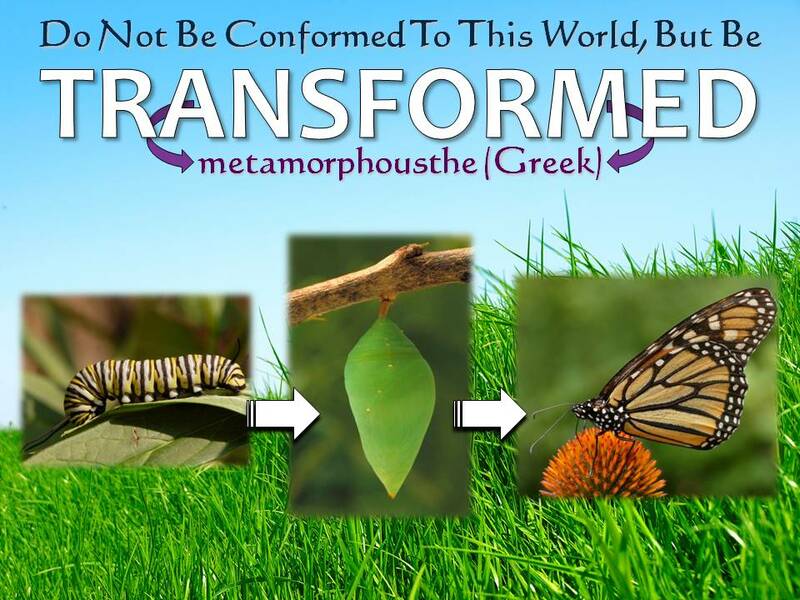 Romans 12:2 "Do not be conformed to this world, but be transformed by the renewing of your mind." Tomorrow we're going camping in Tillamook OR. We always have Internet connection there, so I'll probably be posting some pictures! We've had a few days of sun, so things are really starting to grow well! Here are some recent pictures from the farm. Pretty purple flowers are just starting to bloom! One of my bees hard at work! Today I found out one of my hives is queen-less. I'm in a dilemma. I suppose a new queen will have to be ordered QUICKLY since a bee's life span is something of 5 weeks. I may take a frame of brood out of the healthy hive and place it into the queen-less one, so at least there will be a few new bees and a chance of survival. Nasturtiums~I grew these from seeds too! It's honey bee swarm season in Washington right now. Last night we captured this one, and put them into another hive box. So now I have 3 hives! Taken from "The Fulfilled Family." "The phrase "keepers at home" is the Greek word oikourgos. It comes from oikos, which means "home" and ergon, which means "work." Oikourgos, then, means simply "to work at home" Now, I'm going to tell you what I think this really means: I think women ought to work at home. Profound huh? You say "But I have a wonderful job!" Well, the Bible says to work at home. You say, "But we need the money." Well, the Bible says to work at home. You say "But my kids are in school" (they shouldn't be!) Well, the bible says to work at home. The Bible doesn't say P.s.--Under the following circumstances, this is not valid." Don't feel like you have to read all of this, remember, I mostly just have this blog to get all of my thoughts out! ;-) This is one area that can frustrate me sometimes; as I wonder why so many Christians don't see the issue! I believe that the all of the problems in our society stem right back to the fact that we have been chipping away the foundation on which our country was founded. That solid foundation is the original laws and principles of God and the Bible. One of those principles that God clearly explained was the distinct roles of men and women...and what each of them are to pursue and highly value. By getting kids in school, the woman into the work force, and the men either working, or playing games in their basements, we see the utter destruction of the family. And now this generation is asking, “Why even BOTHER with marriage or a family?” As a result of this, we are seeing children abandoned by one or both parents out of wedlock. Those who are willing to be honest, recognize that we are raising a generation that is illiterate compared to what was coming out of America when she was founded. But the problem is, because people are terrific at sticking Band-Aids on symptoms, rather than dealing with reality (the reality being that there is a God and you are not him) we are LOSING these children. These kinds of people don’t want to deal with reality, because that would mean there must be some standards that this God has given His people to follow. And following those standards will require effort and submission, and the giving up of your selfishness. When the family is destroyed, we have many, MANY lives that are left in complete confusion. Kids are stumbling around trying to find purpose and meaning, and love outside of their God-ordained family realms, and they are self-destructing. It is HEART BREAKING for me to see this thing going on. All hope is not lost. It is our duty to stick together as a family, and reach out to these kids who are crying out for attention and love, and show them that they can find all the fulfillment and acceptance they will ever need when they are grafted into the family of God. Another thought: Isn’t it best to reach out to young adults and kids by welcoming them INTO the FAMILY of God (that is, that multi-generational group of parents, grandparents, sisters, brothers, and all of those in-between), rather than send them off to another building with only kids of their age? I subject that is 'danced around'...even in the church! What we are seeing today in our society is the result of the thinking of the French Revolution, which was a humanistic, egalitarian, approach to life. They believed in a society were there was absolute equality—a classless, godless kind of humanistic existence. These ideas have been brewing for years, and it is now coming to full brew. Our generation is drinking it in! No classes, no sexes, no distinctions, no authority, no roles, no submission, and no humility. And the church, instead of rejecting it, falls right in by supporting equal rights for homosexuals, advocating women preachers, and women elders, and functioning on a philosophical godless hermeneutic that forces reinterpretation of the Bible in terms of our present time, instead of accepting the authority of the Word of God. Nothing can be done well when it is in contradiction with the laws that God has given us to follow. He set up our roles exactly as He wanted them in Genesis, and has confirmed them all throughout the Bible. It's not about guns, it's about control! I always carry a gun because a cop is too heavy. Sooooo…If some guy who was up to no good came into the house in the middle of the night, someone would have to politely ask him to hold his horses while we run around in the dark looking for the ammunition (that has to be kept in a separate hidden spot), un-lock the safe, and get the gun all loaded and cocked while the kind man stands there patiently, waiting to be blasted into smithereens or arrested. "IS NO SUCH THING AS ABSOLUTES." ARE THEY ABSOLUTELY SURE OF THIS???? I see this with my own little brothers. I see Timmy talking like we do “yeah, um, and then I was totally like, no way!” and then Joe (who is a couple years younger) imitates Timmy. "Rather I would see my own little ones laid away in the grave tomorrow, and miss all of their love, and go with empty hands and sobbing heart through this life to it's close, than to attempt to train them without the Lord's help and guidance." ~ J.R. Miller "Homemaking"
30 compressions, 2 breaths. Babies and children are the same, but use only 1 hand for child and 2 fingers for infant. 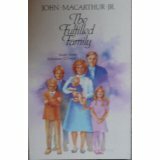 "The Fulfilled Family" ~by John MacArthur Jr. I found this book buried in a bookshelf (we have so many!) and started reading it last night. I'm almost finished with it, as it is small. He hits on all of the very critical issues regarding the roles given to each individual in a very easy-to-understand, but firmly Biblical and down-to-earth way. It is basically a study on Ephesians 5:21 and 6:4 (Sorry for the blurry picture, I took it off of Amazon ;-) I noticed that you can get it there for 1 cent!) It's sooooo good! I don't know why it would be so cheap! MacAurthur's writing style is very similar to the way I write papers and such for my other old blog Taking Back America. Unfortunately I already wrote in my answers for the question on my evaluation paper that asked which 3 books outside the Bible are my favorite. Too late to add it now! This one has to be at least 2nd or 3rd place though! PLEASE everyone out there with a Facebook account...be VERY CAREFUL. Better yet, reconsider even posting any personal information or pictures AT ALL. Our family has never trusted Facebook, and it seems truer and truer as time goes on that 'they' don't care about your privacy...or protection. You'll find plenty of articles on the Internet about this "Facial Recognition" thing they have now. We made this cake with the intentions of using it for our cousin's graduation party. Let's just say it's a good thing Costco knows how to make cakes!!!! "Let no man deceive himself. If any man among you thinks that he is wise in this age, he must become foolish, so that he may become wise, For the wisdom of the world is foolishness before God." Answering these pre-courtship evaluation questions has really humbled me, and has shown me that, if I think that I am 100% perfectly prepared for such responsibility, I will fall flat on my face and be disappointed in myself when I realize that I am NOT. I am completely incapable of handling anything WITHOUT the Lord's help. I am trusting in him to continue revealing himself to me every day. "I can do all things through Christ who strengthens me." Which would seem to include courtship and marriage, raising and teaching children, homemaking, growing in character, and trusting everything into His care. The last couple of days have been busy. Busy for me in the sense that I have been sitting here at the computer typing in some very important answers to some very important questions…such as “Who is God” “Why is there Evil in the World” and “Is God unjust to send sinners who have never heard the gospel to hell?" The last of these questions was probably the most difficult for me. I have learned so much though, mostly through reading Romans 1:18-24. This is an area of much controversy among Christians, but I believe that Romans 1 explains the concept that “they are without excuse” thoroughly. I don’t believe I will ever FULLY understand this mystery of the gospel, but I also understand that God does not require us to ‘know everything’ but rather to trust completely in his inspired word. I love answering these questions; they are the kind of thing I thoroughly enjoy writing about. The personal questions were a little harder, but it always feels so good to write everything down; and to pour everything out onto paper. I probably should have considered spreading the questions out over at least a few days, but I just couldn’t help myself :-) When I get a mind to do something, I usually do it right then and there. Tonight when I told Daddy that I was finished and had read it all aloud to Mommy already, he just laughed a lot and said “Oh I figured!” He knows me pretty well. I wasn’t at all trying to rush through it; (in fact, I think I exceeded the 3 paragraph limit a couple times) I take this very seriously (but of course had to include a little humor here and there ;-) If I don’t stay light-hearted through this, I think it could potentially be way more difficult than it needs to be. "Be anxious for nothing, but in everything by prayer and supplication, with thanksgiving let your requests be made known to God, and the peace from God, which surpasses all understanding, will guard your hearts and your minds in Christ Jesus." Today was an interesting day. Mostly because of what we discussed in our “family time” this morning. I believe that we are entering into a new chapter of life, at times the thought of it is rather overwhelming. Things aren’t as simple as they were 5 or 6 years ago, when cares and trials were lighter and sometimes almost non-existent. But the Lord is ever faithful, and I see this not only as a challenging time of bridling my anxiousness, but also a blessed time, with opportunities to grow closer to my Savior as I continue to learn to lean on Him rather than my own understanding. For some time now my parents have been diligently considering, and constructing a list of our family’s standards for marriage preparation---that is, pre-courtship, and if after that step we see eye-to-eye, courtship, and if we still agree on everything, engagement which should be a short time of the prep for marriage. I know for some people, this is a completely foreign idea, why in the world would you go through all of that trouble? Marriage is a serious, life-long commitment, and our family has chosen not to adopt the culture’s practice of date-and-drop until you decide you like someone enough. A union built exclusively on the foundation of having similar movie preferences…or foods…or whatever else…probably isn’t going to last long. This is what I am asking of all of you; dear family. Please PRAY for strength for both parties concerned. We could all use and extra dose of wisdom and strength, patience and perseverance! The only place I want to be is in the center of God’s will...anywhere else is frightening and dangerous. …And anything worthwhile is never easy. "Nothing Worthwhile is Ever Easy." I see this lesson in so many things. My garden in particular. Anything I want to grow is difficult, and it requires meticulous care in weeding, fertilizing, pruning, and protecting from critters who are out to devour and destroy. All of the things that are most important to me in my life—the fundamentals of living out a God-pleasing life—are like my plants. I want to cultivate them, and grow them, and see them blossom. Writhing in pain and agony, despairing and worrying, anxious and un-settled, un-happy, miserable, and hopeless. He wants to see my communication with my Father cut off, he wants to see me dry up because of my deficiency of the refreshing Word of God. He wants to see me up all night, and distressed all day, proving to myself my utter lack of trust and faith in the Almighty. He wants to see that flame of hope and joy drowned and extinguished by my own apprehension and fear. By discovering just what the devil would like to see, I am given a clearer vision of the raging battle against evil in my heart. This is where I am. A constant dialog, communication through prayer and thanksgiving all day long. He wants to see my persistence in prayer; he wants my full concentration, attention and devotion. He wants to take all of my anxiety, any of my fears, and he wants to exchange them with hope and peace that can only be found through trusting that he has always had a plan, and will bring his WILL to full completion no matter how badly I manage to mess things up. He wants to see me patiently waiting for him to act, and with that a joyful countenance. "And not only so, but let us have joy in our troubles: in the knowledge that trouble gives us the power of waiting. And waiting gives experience; and experience, hope: and hope does not disappoint us, because God has poured out His love into our hearts by the Holy Spirit, whom he has given us." Really good, and really easy :-) This was from a dear friend of mine from our church, Linda Clements. I bet it would be awesome with strawberries or blueberries! This is a KOA campground in the Astoria Oregon Area. We were right across from Fort Stevens... a fort first built during the Civil War, and used to guard the mouth of the Columbia through the Second World War. There's a lot I'd like to say about the pictures, but I don't have time right now, so maybe I'll add comments later! "Let no one look down on your youthfulness, but rather in speech, conduct, love, faith, and purity show yourself to be an example of those who believe." I like the verses to this song. It's where I am, and will always be. A change in the making! And the fruit of the womb a reward. They will not be ashamed when they speak with their enemies in the gates. We are being told constantly that children are expensive, they're handfulls, they're trouble, they're messy, they will cost you energy and time. oh how did your mom do that!!!? Imagine the carbon footprint! You guys are breathing all the air!!!! Think of all the co2! You get the idea. :-) I don't think I've had more than one or two that say "Oh what a blessing!!" I have a hard time coming up with new ideas for lunch. I mean, ham sandwiches and grilled cheese can get kind of old after a few months. This is really really really really really good. Spread the cream cheese on your bagel, melt the cheese in the microwave and put on top of the cream cheese. Then crush up some tortilla chips and stick those to the cheese on top. It's been a wonderful Weekend! Monday was my 16th Birthday. My wonderful family wanted to do something very special for me…so they secretly contacted around 50 people—all of my dear friends and family—and asked them to send notes, recipes, and verses to my Meemom’s address. For the last month, they have been putting together 2 very, very, special scrapbooks for me. I don’t know how to THANK YOU all…this was such a surprise, and I am truly overwhelmed. God has been so good to me…and not because I deserved it! I have pages upon pages full of the PRICELESS photos, recipes, verses and cards from all of you who I love so dearly. I am so blessed; I just can’t even find the words to express my thankfulness and gratitude for this treasure composed by so MANY special friends. I’ve always wondered why heirloom varieties are supposedly healthier to grow. This explains it! Researchers have known since the 40’s that yield increases produced by fertilization, irrigation and other environmental means tend to decrease the concentrations of minerals in those plants, These techniques give growers higher yields and consumers get less expensive food. But because of this, we get a lower quality food as well. Another contributor to the nutrient deficiencies in food is what scientists call the Genetic Dilution Effect, which happens when farmers breed plants to produce high-yield varieties. 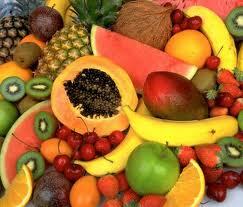 This declines the nutrient concentration significantly in comparison with the heirloom verities grown years ago. Official U.S.D.A. nutrient data shows the calcium content of broccoli averaged 12.9 milligrams per lb of dry weight in 1950, but only 4.4 ml. dry weight in 2003. In fruits and veggies, usually 80-90 percent of the dry weight yield is carbohydrates—sugars and starches (the last thing we need more of in the American diet). When growers choose varieties for highest yields, they are selecting mostly for the highest amounts of carbohydrates. Keeps muscles, joints, tendons and ligaments flexible to make bending walking and moving around in general easier.